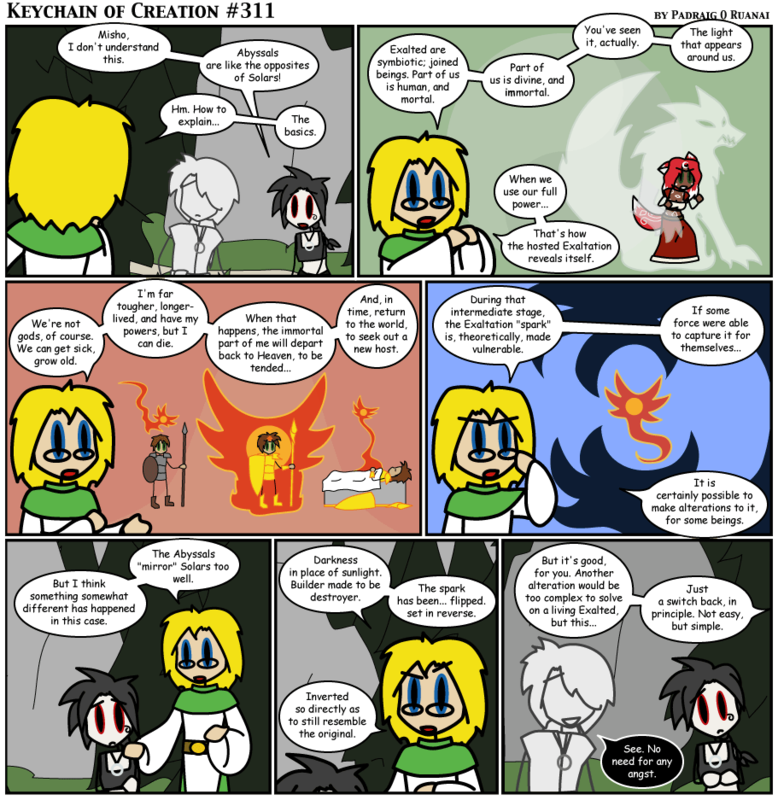 It's well past time I had a decent explanation for what Exalted are in this comic, for people who don't know. I hope this page serves a second purpose in returning a little mystical air to the whole thing, which has often faded somewhat for experienced players. EMAIL NOTICE: Since about the 19th of last month, my comic-related mailbox (jukashi@patternspider.net) was unable to receive or send any messages. The problem is now fixed, and emails retrieved from about last sunday onwards, but any sent between those times did not reach me, and I'd ask people to send them again.